This is very good initiative which will brings patriotism among commuters. New Delhi: On the occasion of Independence day Delhi Metro Rail Corporation (DMRC) will decorate metro train running from Samaypur Badli and HUDA City Centre (Yellow Line) for the next two months spreading the message of patriotism. The train has been wrapped with pictures of freedom fighters and other national icons who has played a significant role in India’s Freedom Struggle. The official said that the six-coach special trains fully wrapped with photographs of our freedom fighters, martyrs and soldiers such as Mahatma Gandhi, Shaheed Bhagat Singh, Subhash Chandra Bose, Dr BR Ambedkar, great Indian personalities such as Lata Mangeshkar, former President APJ Abdul Kalam, shehnai maestro Ustad Bismillah Khan, cricket hero Kapil Dev, among others will run on the Samaypur Badli-HUDA City Centre (Yellow Line) for the next two months. 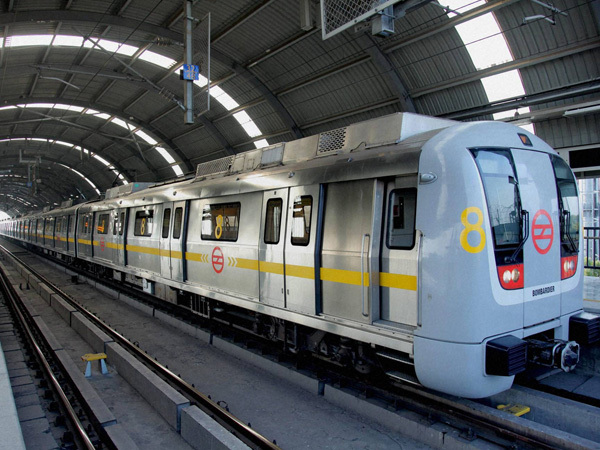 On Independence day Metro train services will run as usual across the entire Metro network. Whereas the entry and exit at four stations of line-6 (Kashmere Gate to Escorts Mujesar), Lal Quila, Jama Masjid, Delhi Gate and ITO will be permitted from select way of entry and exit gates during the ceremony time. And other gates will be remaining closed at these stations owing to security considerations. On the Independence Day for the convenience of people, additional ticket counters will be opened at the Lal Quila and Jama Masjid Metro. Additional staff will be arranged for handling the crowd before and after the ceremony. On Monday our Union Minister of State for External Affairs, General (Retd) VK Singh paid a tribute to freedom fighters and martyrs of the nation by writing a special message on the train. At Lok Kalyan Marg Metro station he wrote Happy Independence Day in Hindi and greeted people on the occasion of Independence Day. The official also said that the Metro train is carrying a lot of inspiring messages to spread the idea of nationalism and unity among metro commuters.